"We are providing them (Pakistanis) military aid without having enough strings attached. 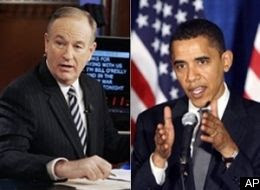 So they're using the military aid that we use to Pakistan, they're preparing for a war against India", said Senator Barack H. Obama, in an interview with Bill O'Reilly of Fox News. When it comes to important national security and foreign policy matters, Mr. Obama, the US Democratic nominee for President, never ceases to amaze and scare Americans with his knowledge and understanding, or rather the lack of it. While on the one hand he exploits the anti-Iraq war fervor in the US, he keeps advocating a larger, more devastating regional war in Afghanistan and Pakistan. Not only that, he continues to toe the line of anti-Pakistan neighbors showing clear hostility toward Pakistan. His fresh comments to Bill O'Reilly, accusing Pakistan of preparing for war with India, are the latest in a series of ill-conceived statements about Pakistan. O'REILLY: You gave a speech in Denver — good speech, by the way. O'REILLY: But you bloviated about McCain not following him to the cave. You're not going to invade Pakistan, senator, if you're president. You're not going to send ground troops in there. You know it. OBAMA: Here's the problem. John McCain loves to say, "I would follow them to the gates of Hell." O'REILLY: But he's not going to invade either. O'REILLY: No, not could. Let's stay in now. OBAMA: ...is stay focused on Afghanistan and put more pressure on the Pakistanis. OBAMA: For example, we are providing them military aid without having enough strings attached. So they're using the military aid that we use to Pakistan, they're preparing for a war against India. O'REILLY: So you're going to pull it out and let the Islamic fundamentalists take them over? O'REILLY: We're doing that now. Negroponte's over there, and he's doing that. OBAMA: That is not what we've been doing, Bill. We've wasted $10 billion with Musharraf without holding him accountable for knocking out those safe havens. OBAMA: ...we target him, and we knock him out. O'REILLY: But everybody would do that. I mean, that would be the biggest win Bush could have. O'REILLY: If you send ground troops in, all hell breaks loose. OBAMA: We can't — we can't have — and nobody talked about some full-blown invasion of Pakistan, but the simple point that I made was we've got to put more pressure on Pakistan to do what they need to do. Obama did not offer any evidence to back up his claim that Pakistan is preparing for war against India. Pakistan is dealing with its own domestic challenges of economic meltdown, growing Taliban insurgency and continuing political instability. Such an accusation has no basis in fact. It makes no sense for a serious candidate for US presidency to make such wild accusations in a casual way, without realizing the impact of such statements on nuclear-armed South Asia region. What is needed is quite diplomacy and direct, positive engagement by the US, rather than bellicose threats and wild allegations. As Pakistanis seem to be beginning to realize that the Taliban are no friends of Islam, Pakistan or Muslims, it is important that the US handle the situation very carefully. Any hint that the US is "pushing" Pakistan to crack down on the Taliban, or directly intervening, would be counterproductive. Let Pakistanis see it as their fight rather than America's fight. That is the only way to rebuild support for war against terrorism in Pakistan, to isolate the Taliban, and to defeat them. Repeated belligerent statements from Obama are sending the wrong signals to Pakistanis at a delicate moment. Such indiscretions by Obama do not inspire any confidence in his ability to handle complex and nuanced issues of national security and foreign policy. Let's hope he begins to learn from the experience of his VP pick, Senator Joe Biden, to keep him and the US out of trouble, while giving him time and opportunity to mature on these life-and-death issues for America and the world. I am not a fan of Bill O'Reilly. But I do appreciate how O'Reilly challenged Obama and his policy statements on Pakistan. Such challenges are necessary to bring Mr. Obama to his senses, and help make him more sensitive about the consequences of his words for world peace and security. The diversion of US aid meant for counter-terror,securing borders and logistics by Pak was clearly mentioned in a US Congress report. So its not "unfounded" argument. "Preparing for war against india" is in reference to misusing aid for purchasing advanced conventional weapons like BVR-missiles etc from the aid funds and of course like a unidirectional country like pak, when and where some capability comes through, it fishes in troubled waters like happened in Kargil. All-out invasion of pak is not such a bad idea(its like u immediately disqualify Obama for sporting that idea)..in a long run..that option will be the only one left given the state of things now. Of course, US would like Pak to do the dirty work as of now, but a terror strike might change the decision-making palette altogether. With the quantum of international and local terrorists gathered for grand terror olympics in pak, its not inconceivable that, what ever is going to come is going to come from here. If you think Obama's anti-Pakistan rhetoric is going to help reduce terrorism, you are probably as ignorant as Obama about the realities of what drives terrorists. The big difference is Obama's misunderstanding will be a lot more costly and deadly for America and the South Asia region than your lack of wisdom obvious from your comments. Obama is a young man who lacks the scars that Bush and McCain have. That's probably why he has picked Biden to be his running mate. When it comes to Pakistan, Obama is very much confused and usually talks first and hears himself second. Obama should try and concentrate on things that matter most, Pakistan has a big problem within its borders that was technically created by the U.S. and if Obama can't apologize then he shouldn't try to be more demanding. You nailed it Zahid. Unfortunately a bunch of ignorant from the two neighboring countries find it a great source of joy when they hear a rhetoric or statement issued by west that talks about bringing destruction and death to their own neighbors. Obama, Bush, McCain, or anyone else make such statements with complete knowledge and we interpret it as lack of knowledge or misguided .. Bringing a girl from Mom Teresa's orphanage in Bengal do nor shed a tear when they see thousands becoming orphans through their own, very own actions... May God bless us all!!! Our site takes a generally supportive view of Obama. We think that there are important differences between the McCain and Obama approaches to terrorism, and that those differences result from a more basic departure in world view. The Bush-McCain approach is unrealistic. Thanks for adding your opinion. It makes no sense for a serious candidate for US presidency to make such wild accusations in a casual way.. The following articles are from NYT and Times..reasonably credible i would say..
describing Pak's double games..hunting with Taliban and running with US aid..
Obama is the guy who saw through the game in its entirety..the recent spate of strikes indicate Bush has got the point..
"According to Gary Leupp, a history professor at Tufts University, Pakistan has provided more assistance to the United States than any other nation as it pursues its goals in southwest Asia. No country has been more dramatically destabilized as the price of its cooperation. “But not only does the U.S. political class take this disastrous compliance for granted, it wants to further emphasize Islamabad’s irrelevance by attacking the border area at will,” he writes." According to Gary Leupp, a history professor at Tufts University, Pakistan has provided more assistance to the United States than any other nation as it pursues its goals in southwest Asia. Gary Leupp must be related to Stanley Wolpert. But seriously, Pakistan is not providing assistance through its generosity as Leupp is implying. It is being paid for it. If Pakistani civil society is so against all things American, then it must also demand an end to all bilateral aid as well. By taking that aid there is a clear expectation of delivery of "results" as defined by the donor. The $10b over 7 years, most of it military, is mere pittance compared to the $150b annual GDP produced by Pakistanis. Most Pakistanis do not see it as a good bargain. Average Pakistanis would gladly give up the US aid if it helps bring peace and stability to Pakistan, something they badly need. Poll after poll indicates the Pakistanis do not support the "US war on terror". The only way to convince them to support this war is if Pakistanis see it as their war, not a war for America. Neither the US, nor Pakistan, can win this war unless they cooperate. Cooperation can not be bought. It has to be earned. The $10b over 7 years, most of it military, is mere pittance compared to the $150b annual GDP produced by Pakistanis. Not quite a pittance. That's $10b straight to the bottom line. The $150b per year is the top line. Looked at another way, Pakistani forex reserves are effectively at $4b and dissipating at $300M per week. Shamshad Akhtar expects infusions of not more than $2b to create significant impact. Even the IMF and World Bank are not talking figures much greater than $1b. Cooperation can not be bought. It has to be earned. The US clearly does not see it that way. From a US standpoint Pakistan is a client state that is duty-bound to fight this war in lieu of that money. Bush - the friendliest a US President is ever going to get - said something close to that today without mentioning money of course. Have you heard the Beatles song "Money Can't Buy Me Love"? There are all sorts of limits to what money can buy. I agree that Pakistan is a sovereign state and it has every right to defend its territory but can all this absolve them of their own responsibility. I could never believe that karma will catch up so fast; just a few years back Pakistan did the similar thing by entering Kargil. If Pakistan could control these jihadists and could keep them at bay and had followed a policy of self interest they could have benefitted a lot. Instead of sorting their own issues they were interested in Kashmir and Palestine and in turn were feeding these terrorists for their personal satisfaction. The kind of financial aid they get from the west was not allowing the regime to go beyond that. If only had they invested in education, health and progress, this would have been a different nation. But their only motive was to hate India and breed these anti humanity elements. Most of the Ramadan programmes on any of these Pakistani channels are about how great their religion is in comparison with others. Agreed you are great but then why do you need to belittle others, why should you have this inferiority complex. The religion cannot solve every problem; it is just a tool to evolve. I hope that one day the good sense prevails and they understand that they need to look at the world with a new perspective, shed this persecution complex and assimilate with others and celebrate life. So you think you know better than president-elect of USA? Everybody in the world thinks ill about PAK and Muslims. Look what Pak is doing. Read news man. Don't be ignorant. The plan is a full thrust assault into multiple anomies at the same time with massive Air Force superiority. If attacked by Pakistan and china at the same time, India will launch self-contained and highly-mobile `battle groups'', with Russian-origin T-90S tanks and upgraded T-72 M1 tanks at their core, adequately backed by far superior air cover and artillery fire assaults, for rapid thrusts into enemy territory within 96 hours. India plans to end the war decisively within the first 96 hours forcing the other sides into a fast submission of ceasefire. People’s Liberation Army is aware of the capacities of Indian Army and Air Force. It will be exactly opposite of 1962 war. That is why they are busy building massive infrastructure in the Indian border areas especially in Aksai Chin and Tibet. The real war in that scenario will be between India and China while Pakistan will be used by China to create adequate disturbance for Indian Military. That is the reason why Lt-General A S Lamba of Indian Army is so keen a massive thrust into Rawalpindi to quiet Pakistanis within 48 hours of the start of assault. India’s biggest advantage is the its software capabilities in integrating signal intelligence with ground intelligence. India will use algorithmic seek and scan technology to counter the Chinese threats in the North and possible Pakistani nuclear threat in the West. India is focused on integrating its Navy, Army and Air Force into an integrated command and Control system completely controlled and dominated by the superior software algorithms that can prove deadly in the war front. First, in the context of current events, is Afghan President Karzai’s recent visit to New Delhi and the signing of a strategic accord with India at the heels of ex-President Burhanuddin Rabbani’s assassination. While one side of the equation that has been brought into the spotlight shows that the accord will pave the way for India to train the Afghan armed forces and police, the other side that remains veiled could contain clauses that may affect Pakistan’s internal and external security. According to policymakers here in Islamabad, the accord requires careful thought at all levels. The critical point to remember is that India has no role whatsoever in Afghanistan yet Indian interference and policies are at the root of many of the problems that Pakistan is facing today. “This accord is a short-sighted narrow-minded move that would harm Afghanistan, both in the short and long term,” warned a regional expert while evaluating the accord and its impact on the region. Second, the Indian army is holding a massive two-month long winter exercise at the Pakistan border, bringing a potent strike corps, the Bhopal based 21 Corps, in the Rajasthan desert. The exercise involves battle tanks and artillery guns besides Indian Air Force assets. Intriguingly, ‘Sudarshan Chakra’ Corps will be aiming to build its capacities for “breaching the hostile army’s defences and capturing important strategic assets deep inside enemy territory.” The exercise is the third of its kind this year. The summer war game Vijayee Bhava, in the Rajasthan desert, involved the Ambala-based 2 Kharga Corps, and the Pine Prahar exercise in the plains of Punjab was staged by the Jalandhar-based 11 Vajra Corps, both held in May this year. The question is: why is India holding three massive war games in a year at the Pakistan border that aim at capturing important strategic assets deep inside the enemy territory? Third, a key development across the border has been the deployment of Su-30 fighter aircraft near the Pakistan border. The significance of the fact that the aircraft is the most sophisticated in the region and that it has been deployed along the Pakistan border at this crucial juncture is not lost on policymakers in Islamabad. Two other related but under-reported events have been the extension of the runway at Kargil by India and its decision to acquire six more C-130J aircraft, the latest version of the intractable workhorse, reinforcing fears in Islamabad that New Delhi is preparing for a war that may engulf the whole region. Fearing retaliation from India after the 26/ 11 attacks, Pakistan went on an overdrive in constructing defence mechanisms such as bunkers, outposts and observation towers on its side of the border with India. The Indian government has released figures to Parliament pertaining to the construction undertaken by the Pakistani government on its side of the border between November 2003 - when both countries declared a ceasefire - and December 2011. The figures show that compared to 63 bunkers constructed by India in 2007 and 85 bunkers in 2008, Pakistan constructed 133 bunkers in 2009 and as many as 159 in 2010. Till the October end this year, Pakistan constructed another 119 bunkers. It also doubled the construction of observation towers on the border in 2009, erecting 48 new towers in 2009 compared to just 24 towers in 2008. The construction of outposts by Pakistan went up from 34 and 54 in 2007 and 2008 respectively to 67 in 2009. Leaked US cables on WikiLeaks had earlier revealed how Pakistan had complained to the US that India was preparing for war after the 26/ 11 attacks and had mobilised forces on its border. In her recent book, No High Honours, then US secretary of state Condoleezza Rice has also said Pakistan pressed the panic button after the 26/ 11 attacks and called everyone from the Chinese to the Americans, saying India had decided to go to war. The Indian government in fact says that Pakistan has constructed a total of 856 new bunkers, 261 morchas, 378 observation towers and 143 border outposts on its side of the border since both countries declared a ceasefire in November 2003. “The government has seen reports that Pakistan has constructed and carried out repair of bunkers, morchas and towers. Regarding such construction work, protests have been lodged with Pakistan Rangers and Flag Meetings of the field commanders have been held in all the cases. The matter has also been taken up by the BSF with Pakistan Rangers during scheduled meetings,” minister of state for external affairs, E. Ahmed, told the Rajya Sabha on December 1.